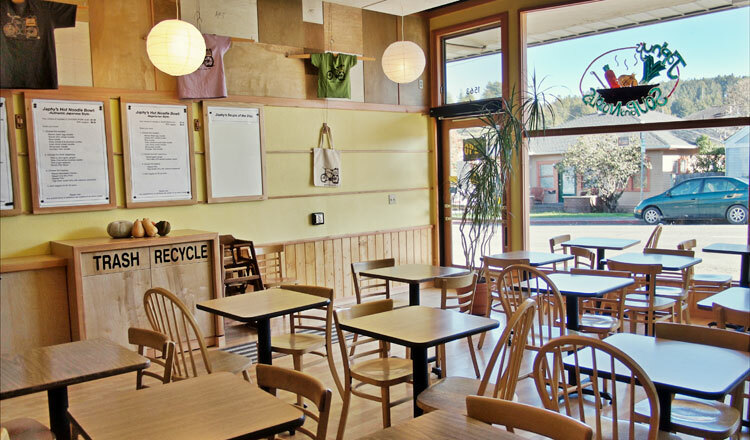 We opened in 1998 with the goal of serving simple, wholesome, homemade food at an affordable price. We make everything ourselves, including the dressings. Our employees bake cookies and corn bread daily. We use organic ingredients as much as possible in all of our dishes, and keep the prices as low as we can. Whenever possible we use ingredients from local farmers and producers. We have an open kitchen so that you can see the food being prepared and made by ourselves and our staff. Please stop by and try our soups.